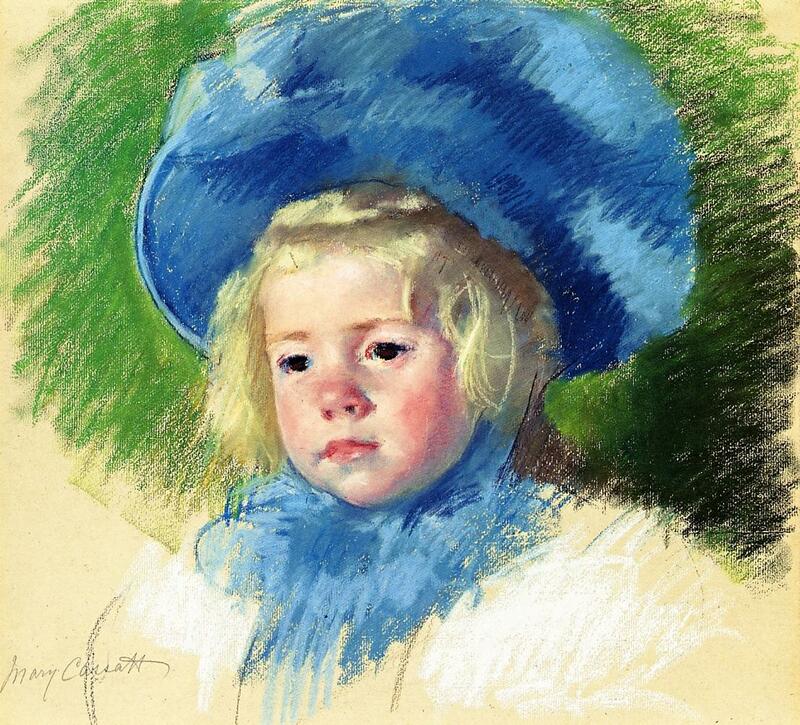 On this day, May 22, 1844, Mary Stevenson Cassatt was born near Pittsburgh, Pennsylvania, one of seven children born to a wealthy American family with a French background. 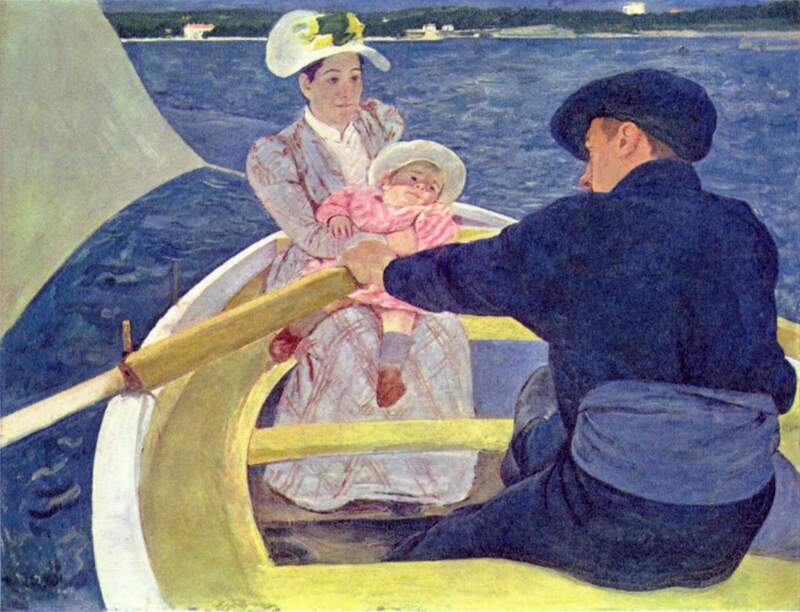 Her family valued education and saw travel as a means to that end, so that by the time Mary Cassatt was ten she had traveled to Europe with her family visiting Germany and France, particularly Paris. But she actually began her studies in painting back in Philadelphia at the Pennsylvania Academy of Fine Art. 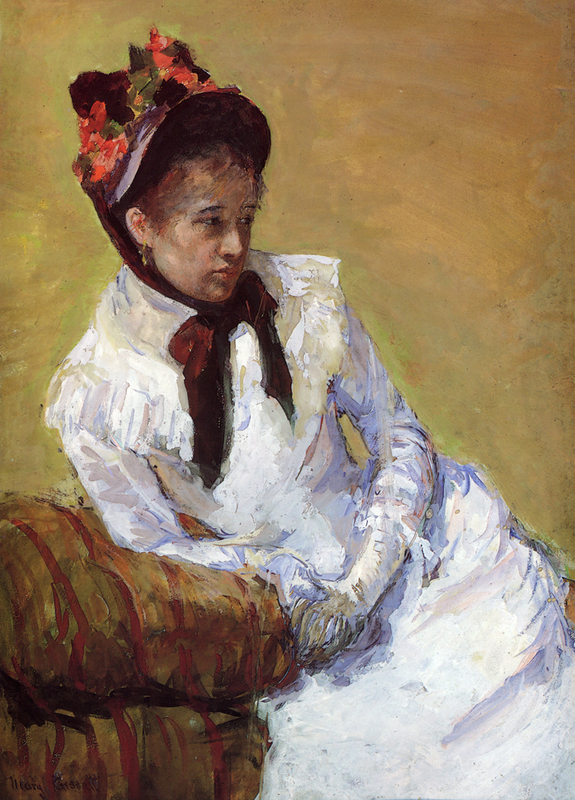 Unhappy with the pace of her learning, Cassatt decided to study the masters on her own, moving to Paris, and copying the pieces on display in the Louvre. Considered “always a lady,” Cassatt traveled to Belgium, Spain, Italy, and Holland studying the works of the great masters such as Correggio, Velázquez, and Rubens. In 1877 it was Degas who encouraged her to show her work with the other Impressionists. This was a perfect fit for an artist who insisted on breaking with the conventions of the time and using light backgrounds and other features that were individual to her work. Although required to support her work, she refrained from creating pieces that would simply pay the bills, choosing to focus instead on quality pieces that nonetheless won her acclaim. 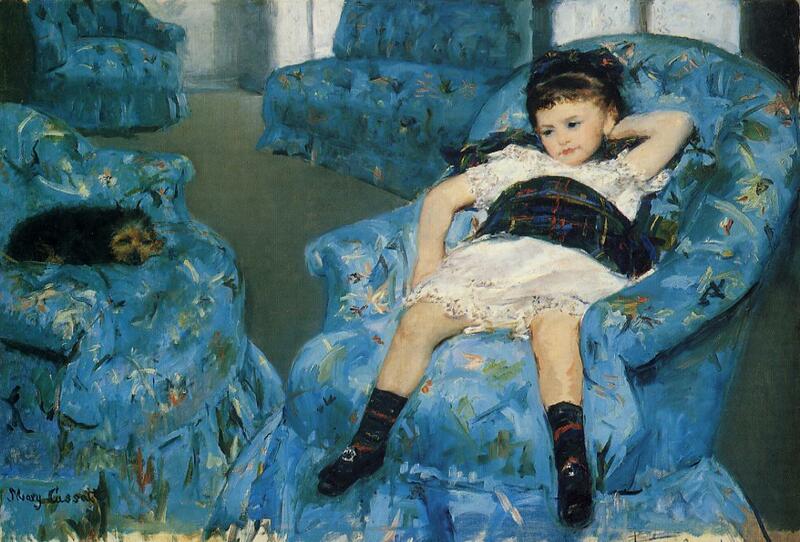 By 1888 Cassatt had moved a bit away from the Impressionists developing more and more her own style. 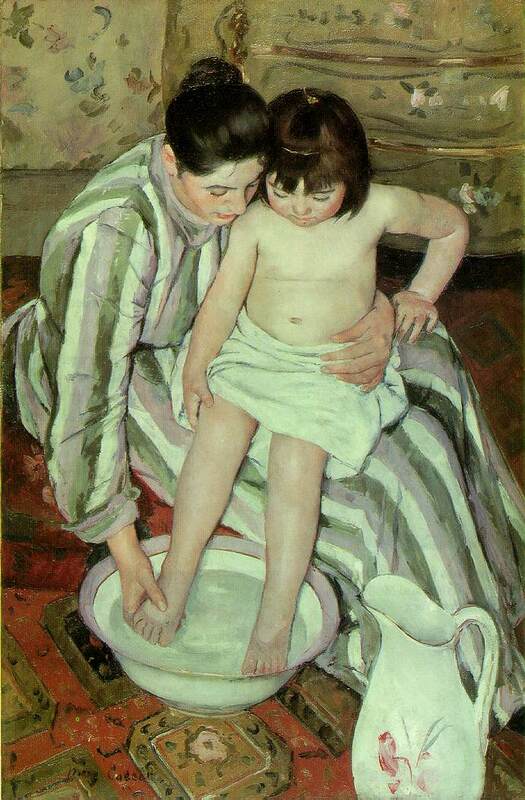 This resulted in the pieces that have become so familiarly connected with Cassatt — those of mothers and children. With her eyesight deteriorating, the volume of her work slowed, so that by 1915 she was no longer painting — but that didn’t diminish her interest in art. She was an advocate of American art museums, advising art collectors and encouraging them to pass works along for others to enjoy. 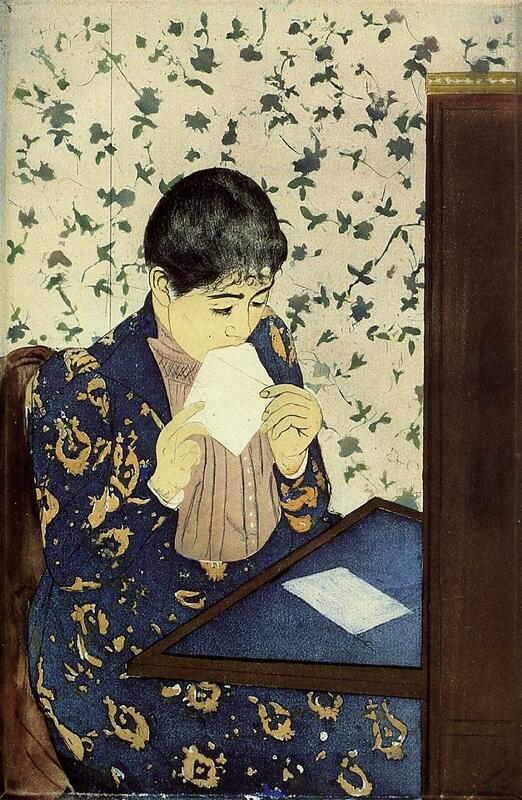 Mary Cassatt died at her home in France in 1926. She was the only American to play a role in the development of French Impressionism. The influence of her work has lived on in everything from a postage stamp to a World War II cargo ship to a Google Doodle. Pick out a few favorite works from the Selected Works below to use for picture study. Give your child time to study the work — just look at the picture and enjoy it. Then turn the picture over and have him tell you what he saw. You’ll find picture study notebooking pages below. After he has studied a picture(s), picked out his favorite, and has described it, ask your child to draw the scene, or draw his own scene in a similar style. 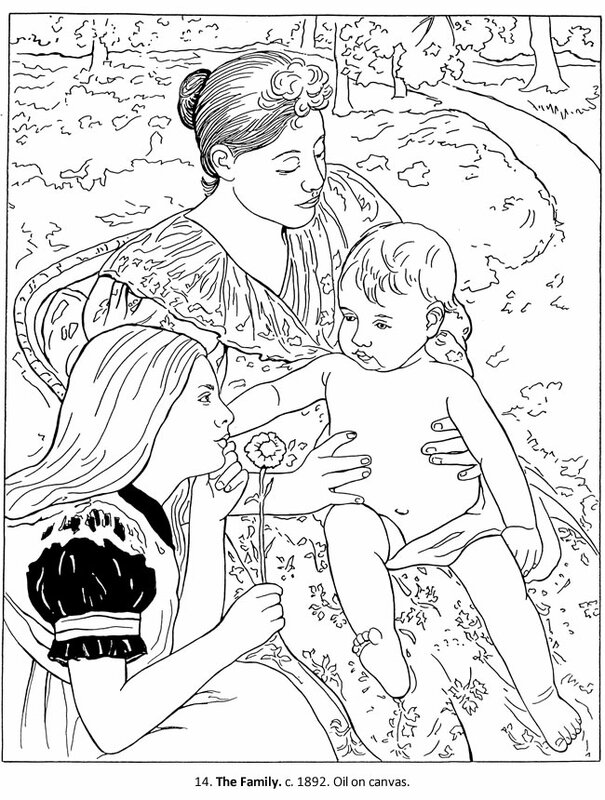 Add Mary Cassatt to an artist notebook (see resources below). Brief biography from the National Gallery of Art (click on “Biography” tab). Timeline from the National Gallery of Art. 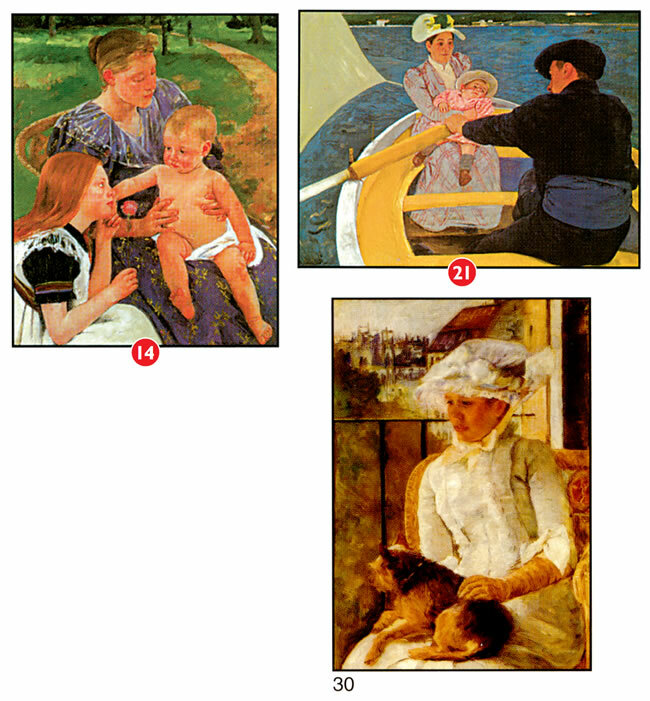 Free download from Ambleside Online with six Mary Cassatt prints for picture study. Video for younger students from the National Gallery of Art that takes a fun look at the painting while also providing a biography of the artist. Audio analysis of the painting from the National Gallery of Art. 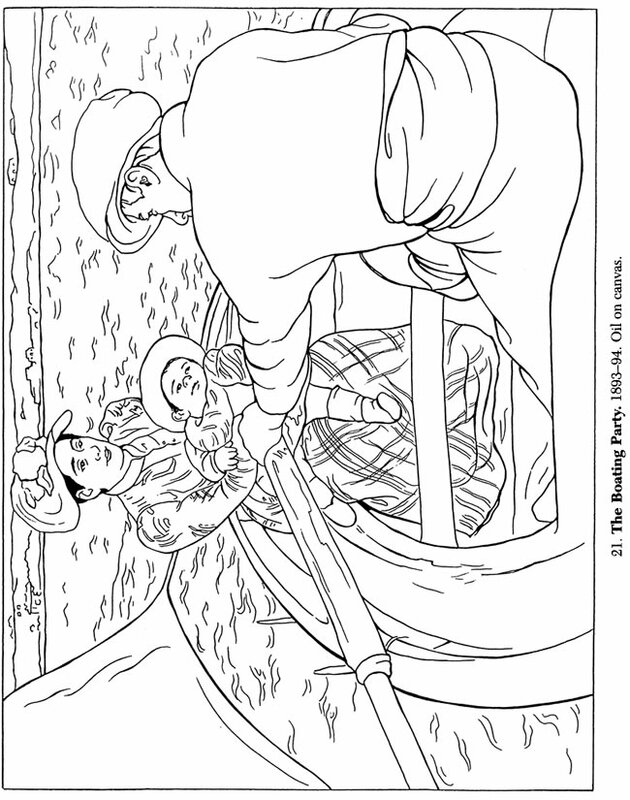 Draw something the Mary Cassatt way with these helps from Art for Small Hands. Suggested ways to study the works of Mary Cassatt (or any other artist). 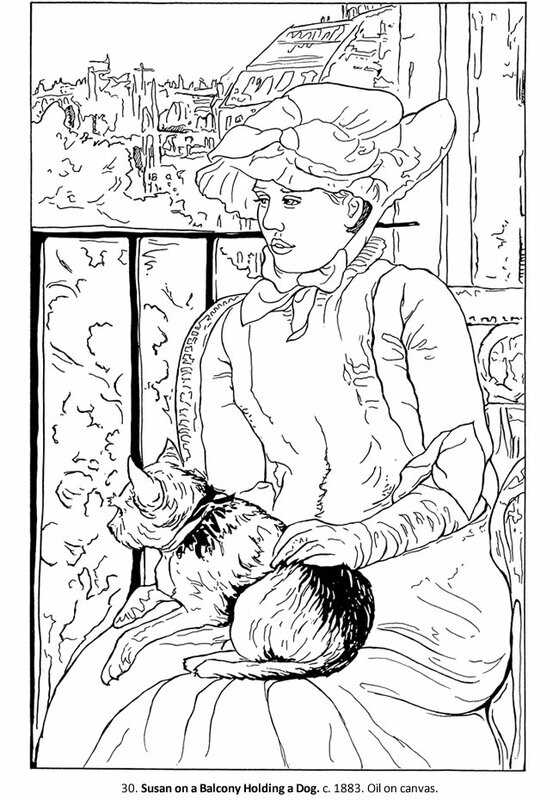 30 black-and-white illustrations to color in this Dover Art Coloring Book. Create a tempera monoprint in the style of Mary Cassatt! Winner of a Practical Homeschooling Reader Award, Discovering Great Artists contains over 150 hands-on activities based on the styles of great artists. A helpful guide in the front lists the artists chronologically along with their style of art, the level of the associated activity, and prep time. A family favorite. 4-page download with background information and an activity associated with Little Girl in a Blue Armchair. Art appreciation lesson from the National Endowment for the Humanities. Students become familiar with her work and then create in her style. When studying art it is often best to keep it simple, but if you are looking for something a bit more formal, you can’t go wrong with a Hands of a Child project pack. This 56-page Mary Cassatt Lapbook Project Pack includes a research guide and 17 hands-on activities covering the artist’s childhood, time in art school, life in Europe, creations, awards, and later years. A timeline, collection, and a look at the Impressionists are also included. Simple pages for drawing or narrating a work of art and documenting the artist and her works. Simple pages for copywork, narrations, or simply wrapping up.